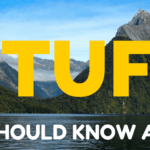 Welcome to “Stuff You Should Know About” – a monthly collection of travel news, tips, photos, and other odds and ends that don’t really fit in anywhere else but that I still really want to share with you. I get a lot of emails every week — sometimes every day — about new travel apps, websites, courses, products, and more. I don’t write reviews very often about apps, websites, or courses (only the ones I really, really love), but some of them are still worth mentioning! Are you a woman who loves to travel? Then listen up! 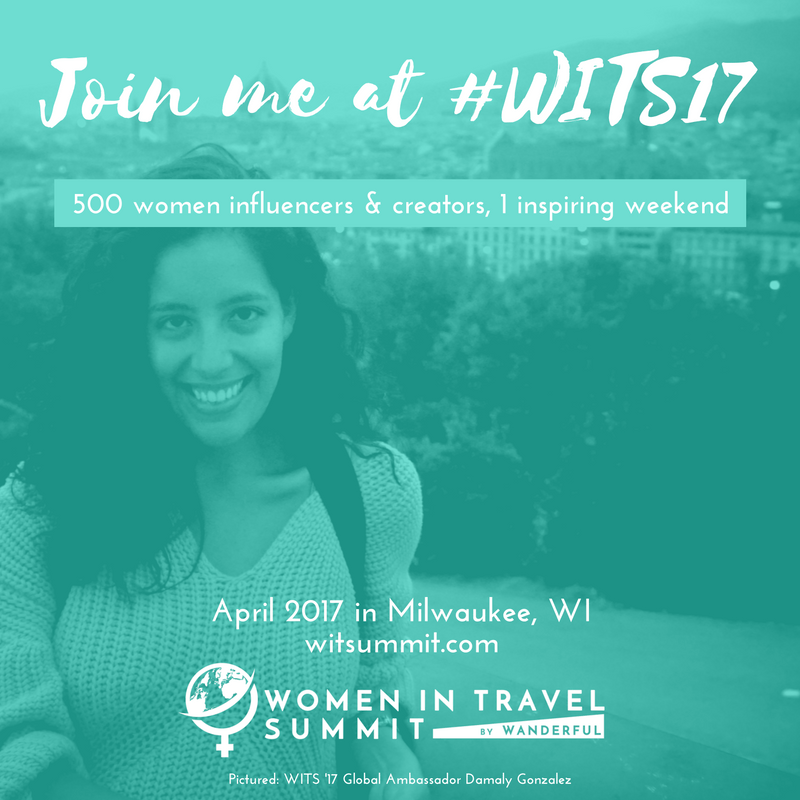 I'm really excited to be speaking at the Women in Travel Summit this year, which is a 3-day conference taking place April 21-23 in Milwaukee, Wisconsin. The conference is focused on bloggers and influencers in the travel sphere, but overall aims to grow a “global sisterhood of dedicated women who travel.” You can check out the full schedule of speakers and sessions here. I'll be speaking on a social media panel during “Blogger 101 Day” on April 21, which is designed specially for newer bloggers, or those interested in starting a travel blog. I'll be at the rest of the conference, too, and would love to see some of you there! Read more about the conference here, and click here to buy your ticket! Instagram is one of my favorite social networks. I mean, who doesn’t love pretty photos?? If you aren’t following already, follow me on Instagram @dangerousbiz! I hope you had the merriest of Christmases! ?Here are some cute reindeer in snowy Northern Norway, who I met last winter. Did Santa and his reindeer bring you anything special this year? ?? This year he brought me an engagement ring! ?? If you're headed to Edinburgh at any point in 2017, make sure to venture away from the Old Town to visit Dean Village. This little neighborhood has the Water of Leith running through it and is basically a little slice of the past. It's one of my favorite spots in Edinburgh that not everybody knows about! The official name of Victoria Falls is Mosi-oa-Tunya, or “The Smoke That Thunders.” And it definitely does. But that “smoke” also will get you soaking wet, especially if you walk across the Knife-Edge Bridge on the Zambia side of the falls! (Though, if I'm being honest, it's SO much fun! Just bring a poncho and protect your camera/phone.) Have you ever been? I had no clue what to expect from Florence. I'm not a huge art lover, and I already loved Rome and Venice so much. Could Florence possibly compare? Well yes, it absolutely can. Florence is so different from Rome and Venice – and that's the beauty of Italy! The cities are all so unique. This was my favorite view of Florence, from Piazzale Michelangelo. Look at all those gorgeous orange rooftops! Hello from David and Jamie – the Photo Jeepers! We travel by Jeep to explore the cities, mountains, deserts and amazing National Parks around us. (And we utilize other forms of travel to visit destinations not accessible by Jeep.) Our aim is to provide INFORMATION and INSPIRATION through photos and stories so you can Capture the Adventure and Document the Journey! 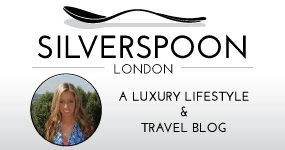 My name is Angie Silver and my blog SilverSpoon London is a lifestyle, food and luxury travel blog following my adventures in my hometown of London and around the world. I aim to give the low-down on London’s hottest new restaurants as well as cool and inspiring destinations globally. Interested in being a featured blog next month? Each month, I’ll feature one or two of my packing must-haves. This section usually contains affiliate links, meaning that if you purchase through my link(s), I may earn a small commission (at no extra cost to you!). This marker-sized item is a must-have for anyone with a camera – any camera. One end of the LensPen has a brush to remove dirt, dust, and sand, and the other will safely clean your camera’s lens to get rid of smudges and fingerprints. I never go anywhere without this little guy – and it's so cheap that there's really no reason not to pick one up! >> Buy one on Amazon! I sadly had to cancel my planned New Zealand trip because of too many expensive things happening in my personal life, but I still have lots of fun things in the works for 2017! Summer: Oregon – Elliot and I hope to go out to Oregon for a week sometime this summer (maybe in June?) to visit his sister, who lives in Bend. We'll also road trip to some of the state's other famous spots like Portland, Crater Lake, and the Painted Hills. August: Road trip! – My sister and I are planning another road trip this summer in order to coincide with the solar eclipse on August 21. We've booked a hotel in Idaho for the eclipse, but otherwise have nothing planned yet. I'm looking forward to exploring South Dakota and Wyoming on the way, though, and finally visiting Yellowstone! Other trips currently in the works include another trip to Norway, and potentially a couple of weeks spent in new cities/countries in Europe – but I'll tell you more about that once things are officially planned. Are you on Snapchat? If so, make sure to follow me (dangerousbiz) to follow along on my travels in real-time! That’s it for this month’s edition of “Stuff You Should Know About!” Which section was your favorite this month? Oregon is such a beautiful state! We’ve only spent a couple of days there as part of our road trip on the West Coast but it’s very high on our list if we visit the US again. I’m super excited to explore Oregon – I feel like not many people focus on it because California and Washington are also right there. But it looks gorgeous! And yes, the LensPen is a really great little gadget to have! I don’t think I’ve ever seen a photo of Norway that wasn’t totally epic … kinda like New Zealand in a way! Very similar in a lot of ways! 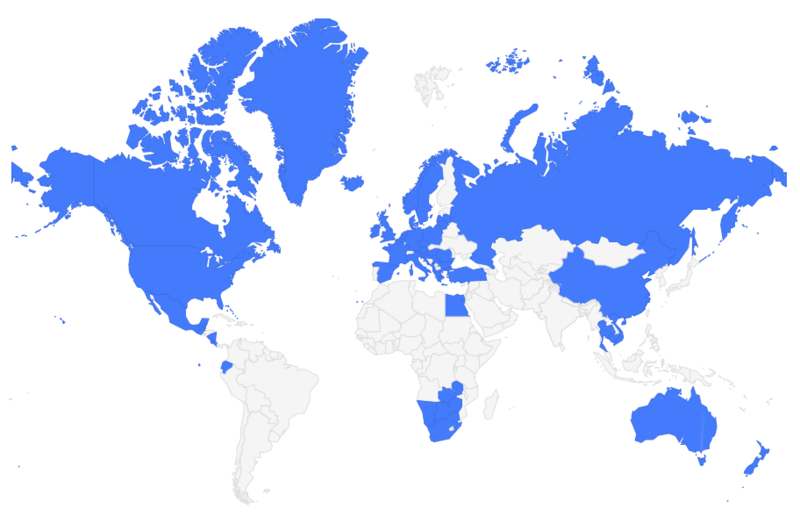 Sorry to hear you won’t make it to NZ. It’s not going anywhere though! I certainly hope not, because we fully intend to go next year! I am 95% sure I’ll be coming up to the Summit in Milwaukee. I’d say hiking in Switzerland is definitely a good reason to miss the eclipse. 😉 And yay for WITS! I hope to see you there! That lens pen is exactly what I need! I had an emergency recently where somehow a grain of sand got inside my UV filter and I had to careful take it out and remove it. A mean feat in Thailand, covered in dust and grime! This little tool is perfect when you’re traveling in the dusty parts of the world! Mine was invaluable when traveling through the deserts in Africa!